IRROmesh is a compact, solar-powered, wireless system for in-field measurement of soil moisture, temperature, and other parameters. 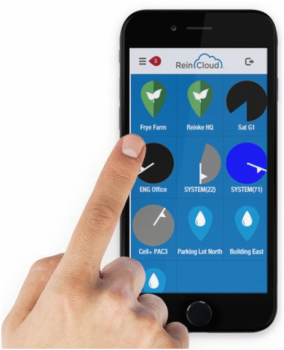 Sensor data from each node is routed through an interactive mesh network back to a central point where it can be shared with Reinke's ReinCloud™ Ag-Data Services. IRROMesh equipment can be purchased from authorized IRROMETER dealers worldwide. Sharing data with ReinCloud is easy. Simply fill out the data share form below to get started. Data from IRROMesh is accessed through the IRROMETER data service called SensMitWeb. 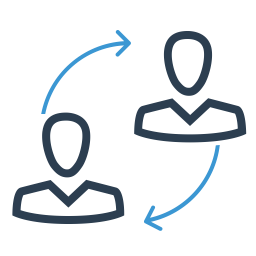 You can share the data from your SensMitWeb account with ReinCloud to be able to view the information alongside other ReinCloud Ready products. ReinCloud will display the IRROMesh data within a property and display the data being collected by each node within an IRROMesh widget. To get started sharing data from your SensMitWeb account, request data sharing by filling out the form below. Additional fees apply. You must be an existing ReinCloud user to activate this service. This is the email listed within your ReinCloud account. Enter your ReinCloud username. This is the username that gives you access to your ReinCloud account. The SensMit Web API key is required to share data to ReinCloud. This key is located within the account settings of your SensMit account. Tap on the Api Ky tab and copy the key listed on the screen. Paste this key within the text box provided. To easily copy and paste highlight the api key and while holding the Ctrl key on your keyboard, hit C. (Ctrl+C). Come over to this form and while holding the Ctrl key hit V to paste it into the text box provided (Ctrl + V).